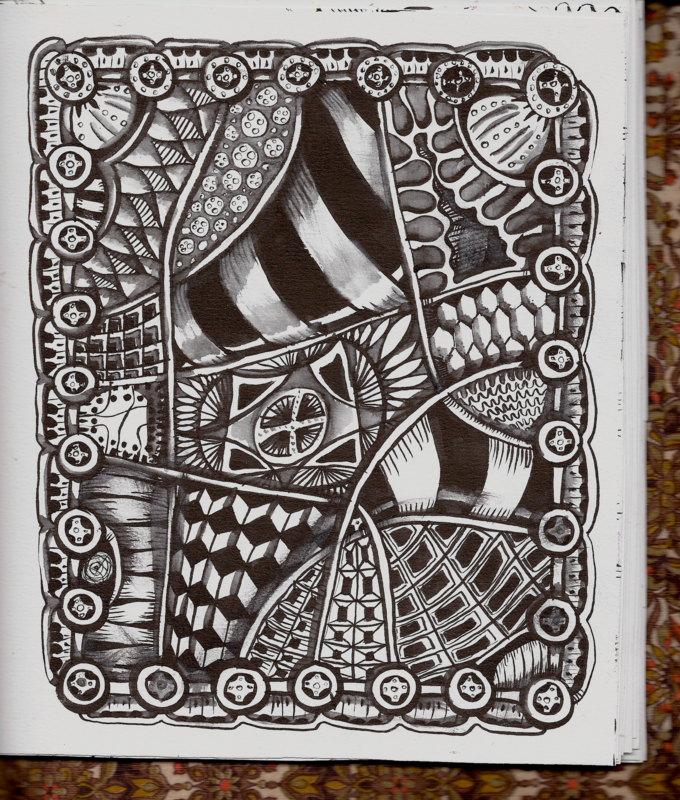 I did another page in my handmade journal with the Kuretake No. 8 Fountain Hair brush pen. After drawing the tangles, I use a waterbrush to create washes. The ink gets a little dark in places, so I use the wadded tip of a paper towel to dab up excess ink. I was able to get a lot more variety in my washes with this piece.